I want to tell you a story. Not just any story, but one of an amazing hero. There was a young man who started out life in a way that was not just confusing, but very hard. Regardless of those hard circumstances, his sense of duty and call to action took him early from childhood, sending him across an ocean into the arms of a waiting war; the one in which his brother had already been called. He didn’t wait for anyone to ask him to make the sacrifice, he took himself to the office and signed up. He knew there was not a point to waiting around when there were men overseas like his brother who needed someone who could be counted on to watch their backs. 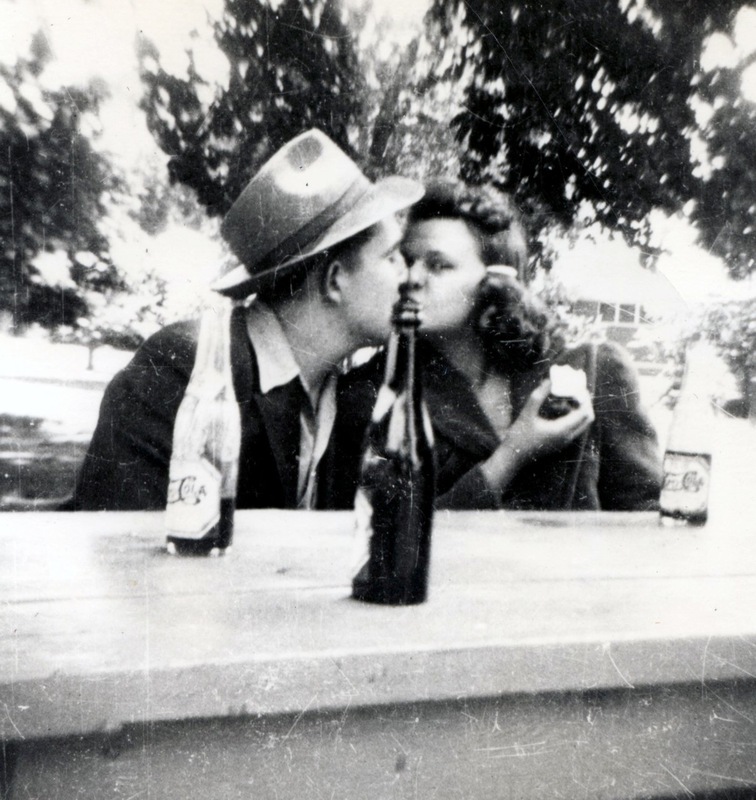 He sacrificed remaining a boy, being a newlywed to the sweet girl from the good side of the tracks he’d met and wooed, and a chance at an easier life than he began with by choosing to stand up and be counted when it mattered most in our country. World War II was underway. It was a time that, for those of us who’ve never face a world war, we truly can’t even imagine. We’ve had scary conflicts, and wars since, but this war, this generation, they knew somewhere deep down that there were not choices… not as we think of them today. They KNEW there was only one choice. Stand UP or be plowed under. The latter was not an option. So they stood up… in classrooms, in movie theaters, in ballparks, and in homes cross the nation. They took on a burden that would cost many their lives, and the rest… change it forever more. This particular young man went off to war knowing only that it was the right thing to do. He wasn’t sure of anything but that one single fact. It was a time when the men didn’t dream dreams of future lives, with vast grand things they’d own, things they’d do, accomplish, nor see. It was a time they knew that what they were going to do with their lives, that minute, that moment, that day, well it was going to matter. They knew that if it meant laying down life itself, then they’d do it. Why? Because it MATTERED. If it meant doing the unthinkable, they’d do it, whatever it was, because they trusted it was for the greater good. They were part of something bigger than themselves. They were part of something that wasn’t really even about them. It was about US. It was about the collective US that we’ve since forgotten. They did it for the unknown lives that would be born into the world from that point forward. For their children, or the ones they’d never have the chance to have. It was a time when we believed our country was worth getting behind instead of fighting against. It was at a time when we believed in ourselves, and loved our neighbors. Today is bitter sweet for me. I sit remembering the sacrifices upon sacrifices my grandfather Howard Blaine Pettys made, two lifetimes before I was born, (my fathers and mine) and I whisper a quiet, “Thanks Papa.” With tears I think of the story he lived that I have not yet shared. I think of all the times he could have decided to do something different than he did. I thank him for being the man he was, making the choices he made, and helping make his corner of the world better simply because he was in it. The men who returned from the wars then came back different. They came back and led lives not just for themselves, but for the guys around them who fell. Every single day of their life was led with the remembrance that they were still here and they needed to make their life count – BECAUSE they came back. They owed it to Johnny, to Frank, to Joe, and to Mikey. They owed it to the guys, but to their wives, their girlfriends, their kids, their parents who never got them back again. It should have been enough they sacrificed their time and their life to go, but it never was. They held themselves to impossible standards and therein did impossible things thereafter. They were incredible. Today is sorta doubly hard. 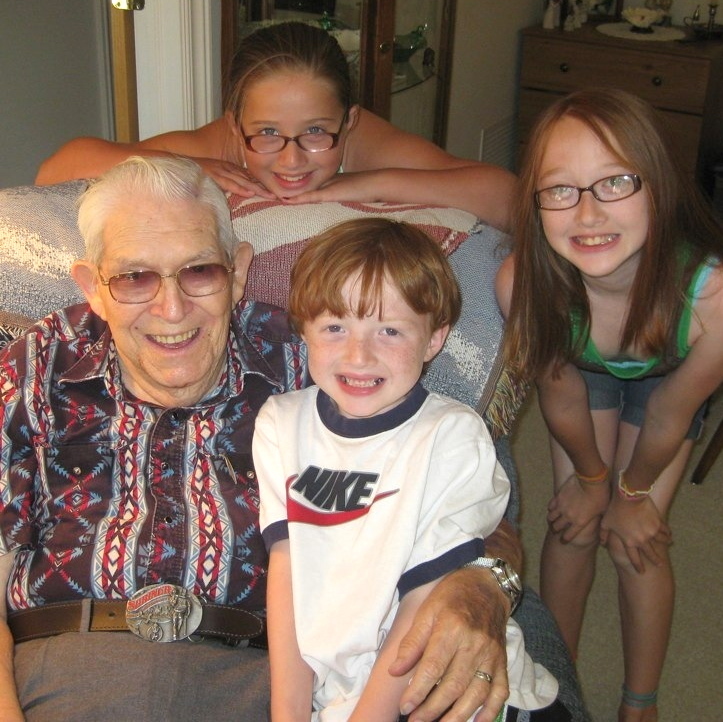 Today I honor my Grandpa Howard, who’s story I began above, along with many men in my family. My father, Rick Pettys, my Grandpa Herritt Bowers, my uncle Art Baldwin, my husband’s grandfathers Kinley Mullins and James Campbell. Of all the men listed here in our immediate family, only my father is still alive to pay tribute to in person. Dad, thank you, beyond words, for the sacrifices YOU made. I know there were many, and you continue to bear the scars that only you see that came home with you. I can not thank you enough for how you gave of yourself in this way. It wasn’t easy and I am incredibly proud of you. I have so much to say, but no words to use. So feel my thanks with my full heart. Great Papa Howard meets little Emory Howard a week after he was born. 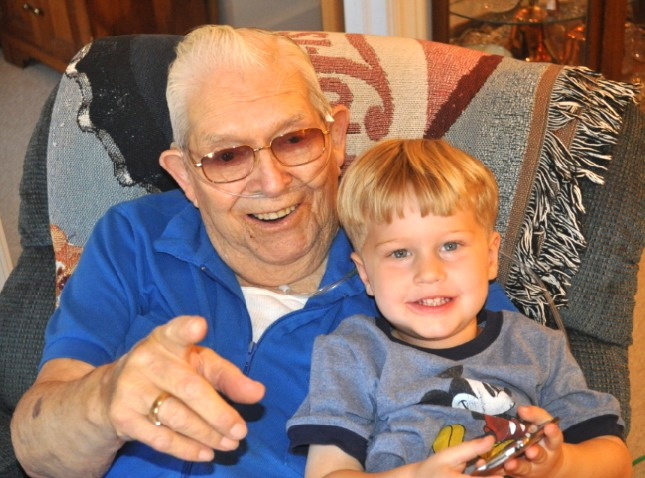 The reason today is doubly hard is that my grandfather Howard passed away three years ago this coming Sunday. It seems I am always thinking of him as Veterans Day rolls around. It seems to hit home harder. This man sacrificed so much. In the end, it was no sacrifice for us, my brother and I, to do all we could possibly do, to make sure that he and my grandma always got as much time with their great grandkids as possible. We more than felt they’ve earned it. So it is our treasured pleasure to be able to bless them with such joy and happiness. Just before he passed away, one amazingly sweet little boy was born. He was named after his Great Papa, as Emory Howard Pettys. He is full of life and feistiness and he will live up to his name with his determination and energy. I know Papa is looking down from heaven with a wide grin as he grows past toddlerhood and into boyhood. 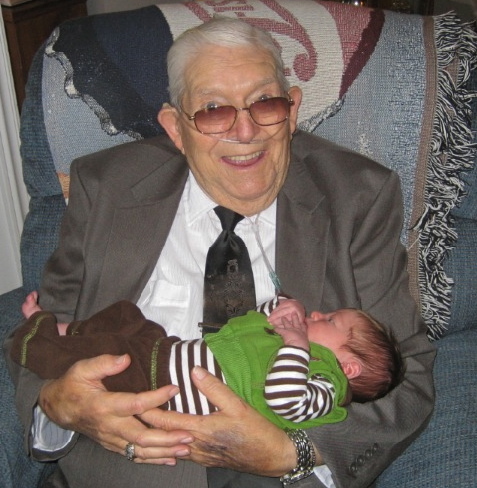 Wanting more than anything to gift my grandpa with the gift of life, my brother brought their newborn son, with doctor permission, to see Great Papa Howard just two weeks before he passed. It was a treasured time for us all. In closing this, because If I dont do it now, I will turn this post into a book… I just want to share a few extra pics that I treasure. I miss him so much. I thank him everyday just by living my life – for having sacrificed his in so many ways. He told me once that that’s what he wanted most… for me to be able to live a good life. That’s what these men did… they gave their all so we could live ours. Let’s make sure that the lives we live are honoring to that sacrifice. Thank you to all the men and women, before and since, who serve so others can live. You are what makes America great. My dad wrote a moving eulogy for his father and a beautiful tribute. Please join him over at http://www.ricmac.com/TheCountryPreacher/keeping-the-faith/ for this touching celebration of a life well lived. Thank you. More than you know… thank you! You are so much more than my dad, more than my hero, you are OUR hero… And no words will ever adequately do that justice. But because Papa is your hero too… You are in a place I can only be left wondering about. Love ya D. So much. What a beautiful tribute, It means more than i am able to put into words. You say what others, like me, feel but aren’t able to put into the written word.